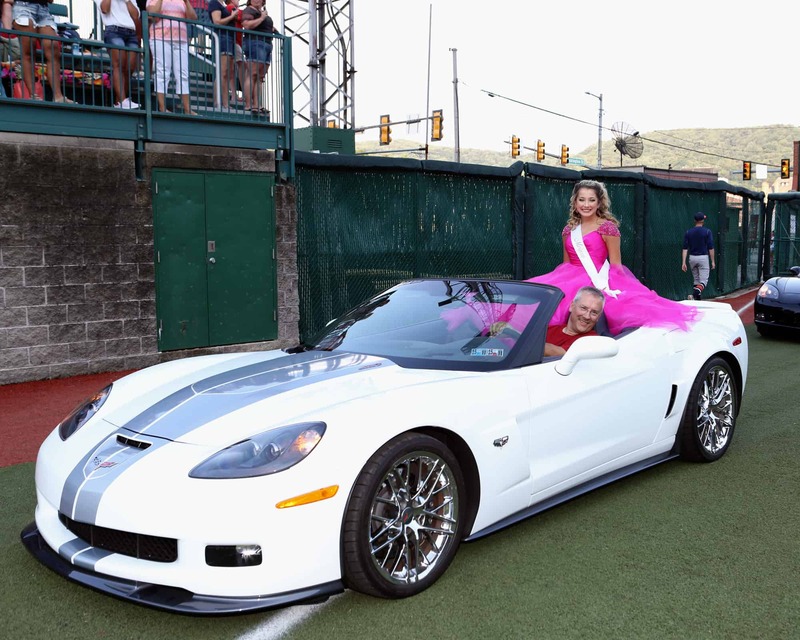 The 74th annual AAABA Tournament had a successful opening day on Monday, Aug. 6, with eight games being played at the newly renamed Sargent’s Stadium at the Point and outlying fields. 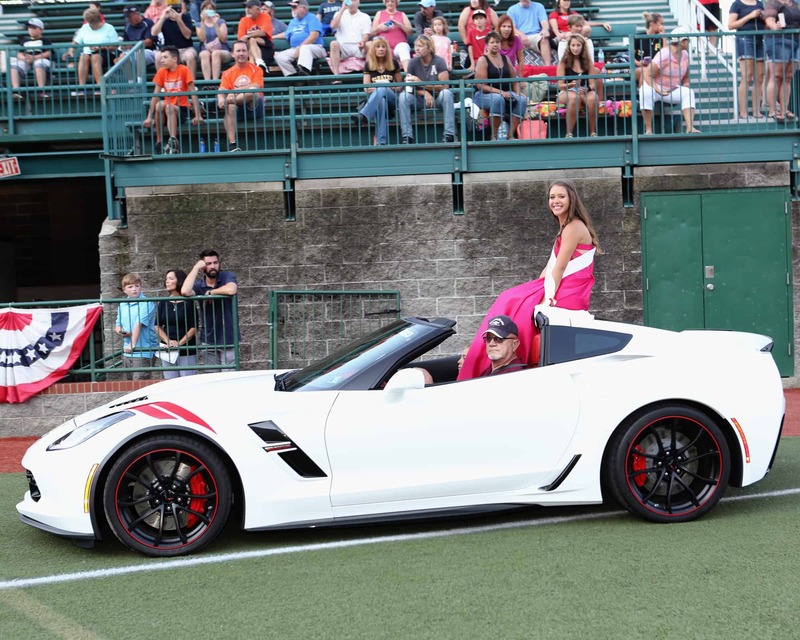 The evening was capped by the traditional opening night fanfare at the Point. 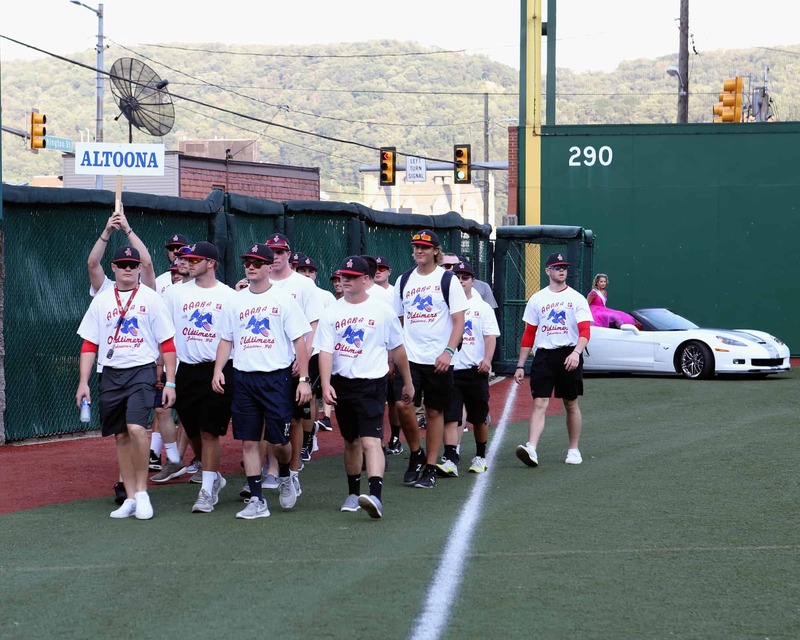 Johnstown’s Martella’s Pharmacy defeated the Philadelphia Bandits 14-2 in eight innings. 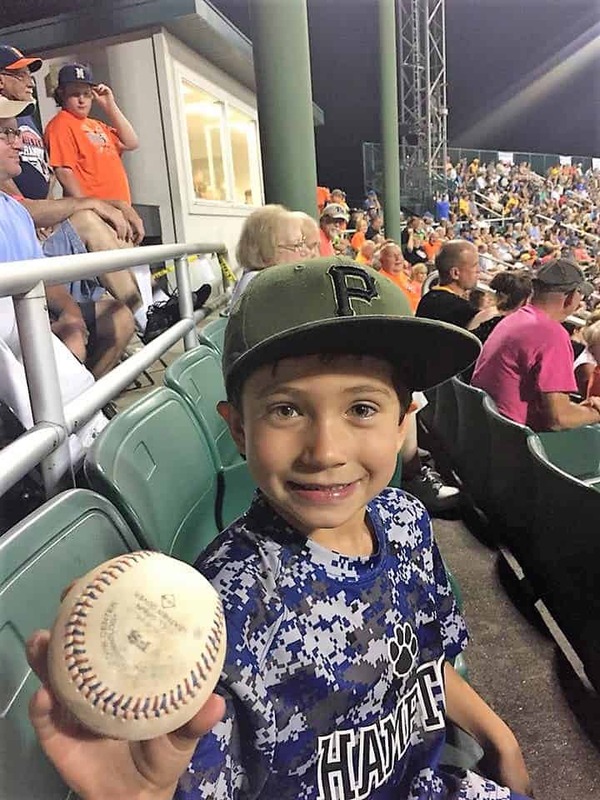 Baseball was only part of the story on this hot and humid evening. 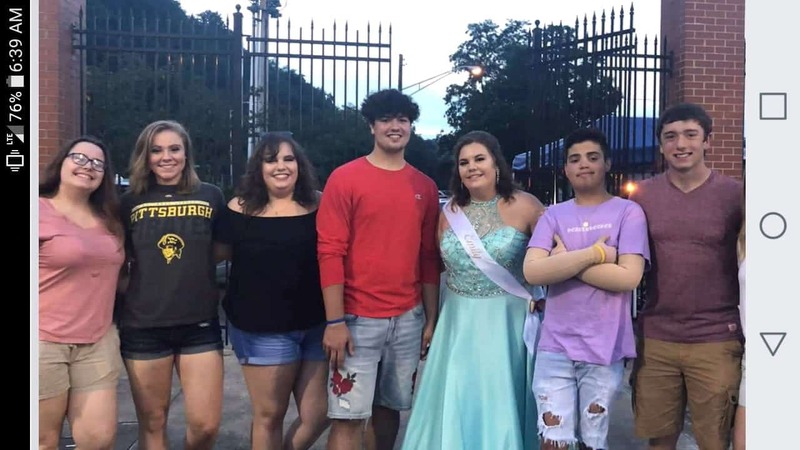 A crowd estimated at 6,300 packed the Point and partook in the traditional opening night fare. 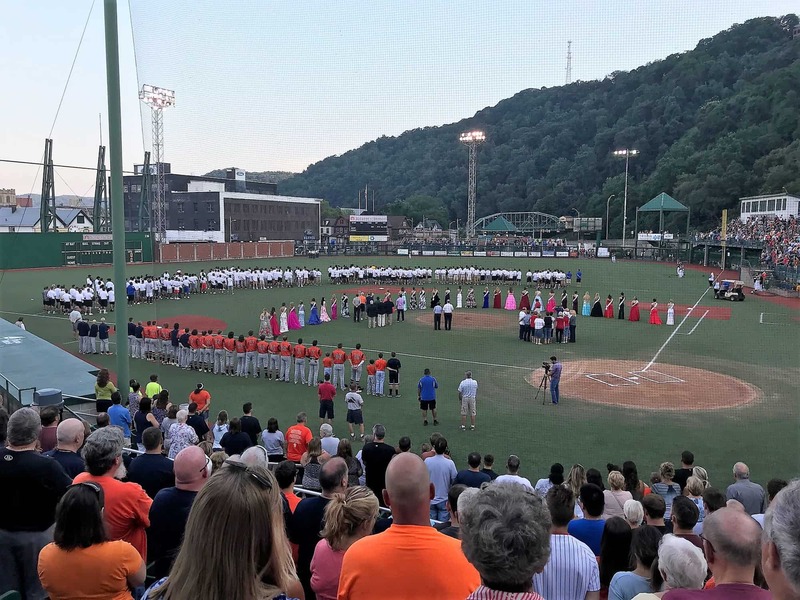 The 14 teams not participating in the game marched into the stadium as part of a parade, with each group holding up a sign identifying their respective franchise city. 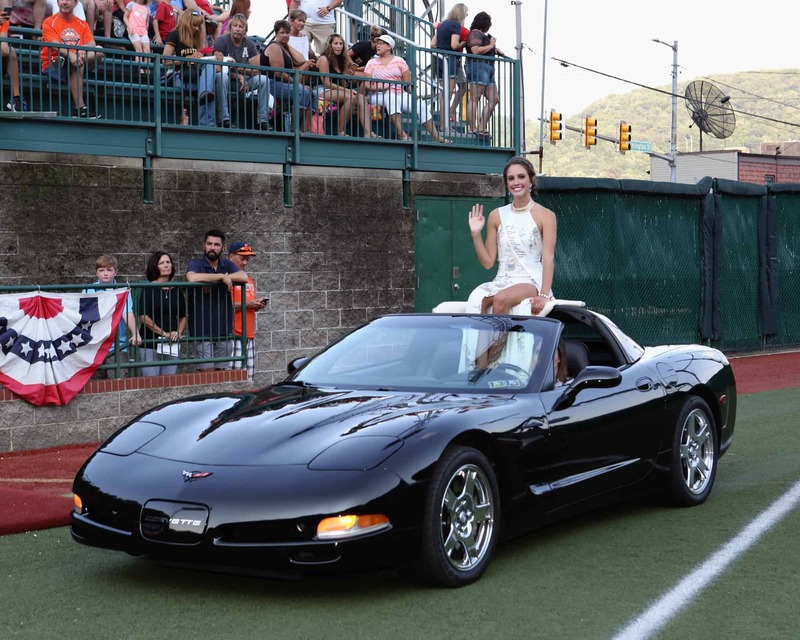 Leading the procession were the 35 AAABA Ambassadors, who donned formal wear and sat on the back of convertible Corvettes as the Flood City Corvette Club once again played a huge role in opening night. 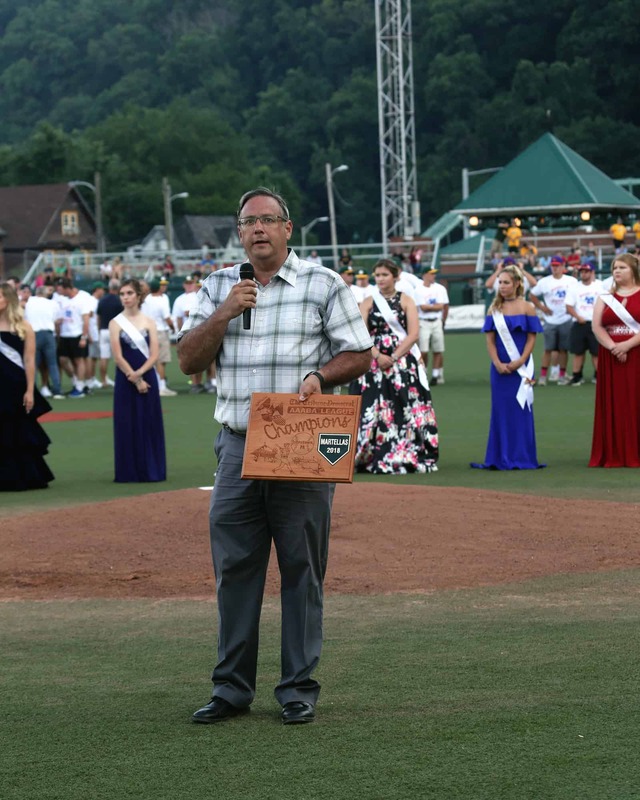 Johnstown Oldtimers Association President George Arcurio III, tournament Chairman John Austin and AAABA National President Jay Elliot welcomed the fans during a pregame ceremony near the mound. 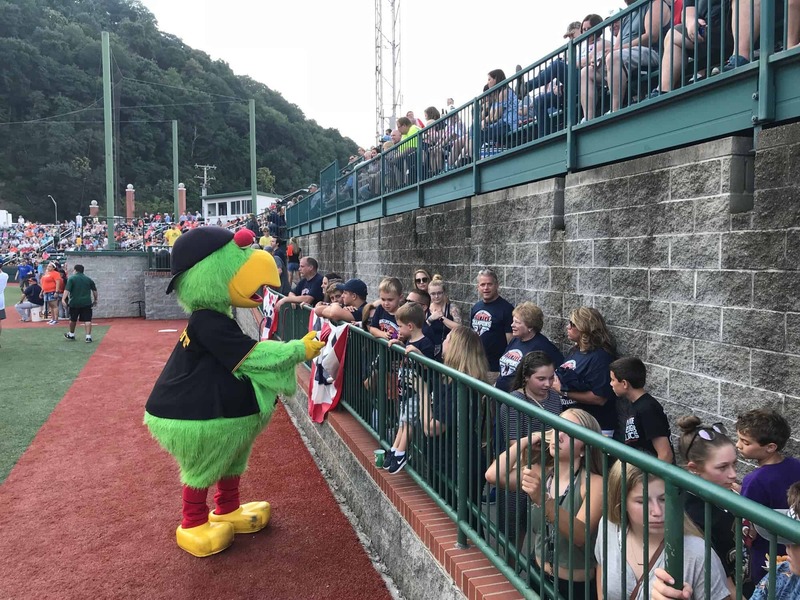 The Johnstown Symphony Chorus sang beautiful renditions of the Star Spangled Banner before the game and God Bless America during the seventh inning stretch. 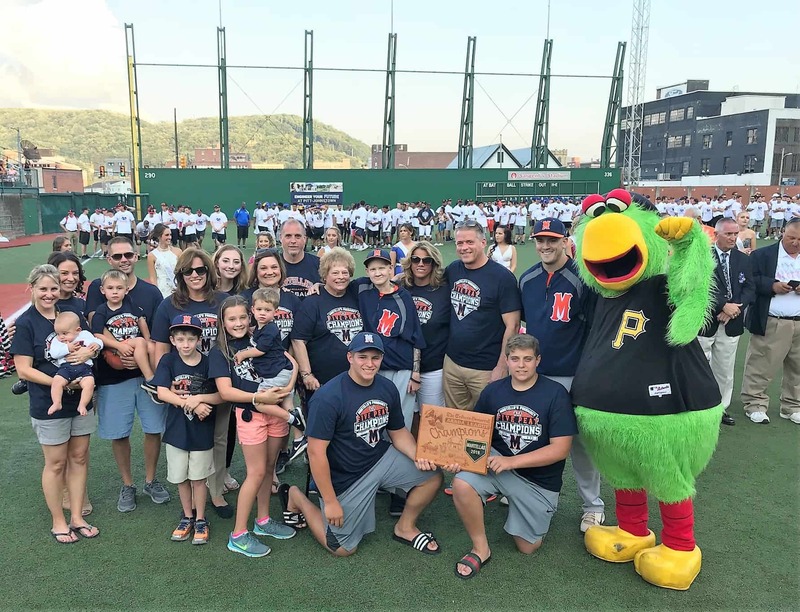 The family of AAABA Hall of Famer and local baseball icon Ken Keiper presented the first scholarship named in honor of Keiper, who passed away in 2017. 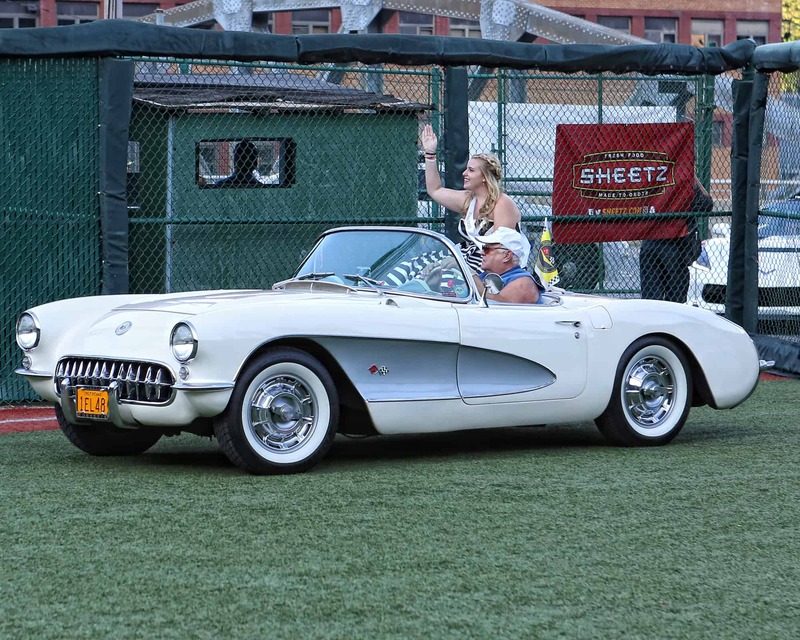 Keiper was a long-time Johnstown Junior League and AAABA Tournament manager who led the 1956 Hahn Packing team to a national runner-up finish. Martella’s Pharmacy outfielder/pitcher T.J. Adams was the first recipient of the Keiper Scholarship. 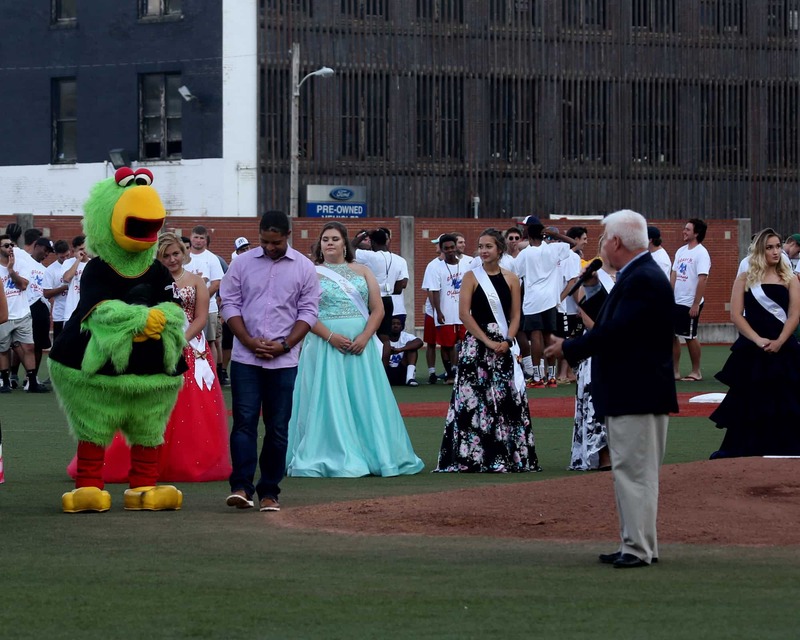 Two well-known mascots also interacted with fans on opening night. 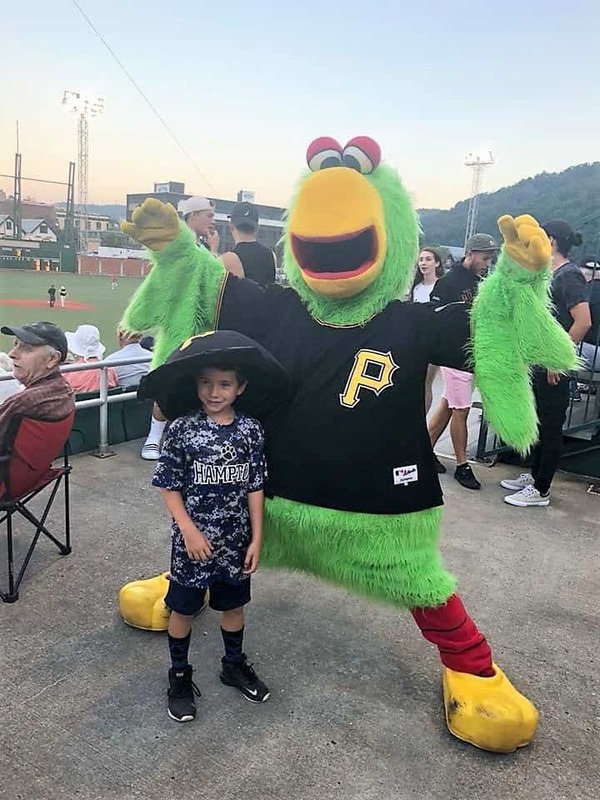 The Pittsburgh Pirates Parrot was on the field and throughout the stands on opening night, mingling with kids and other fans. 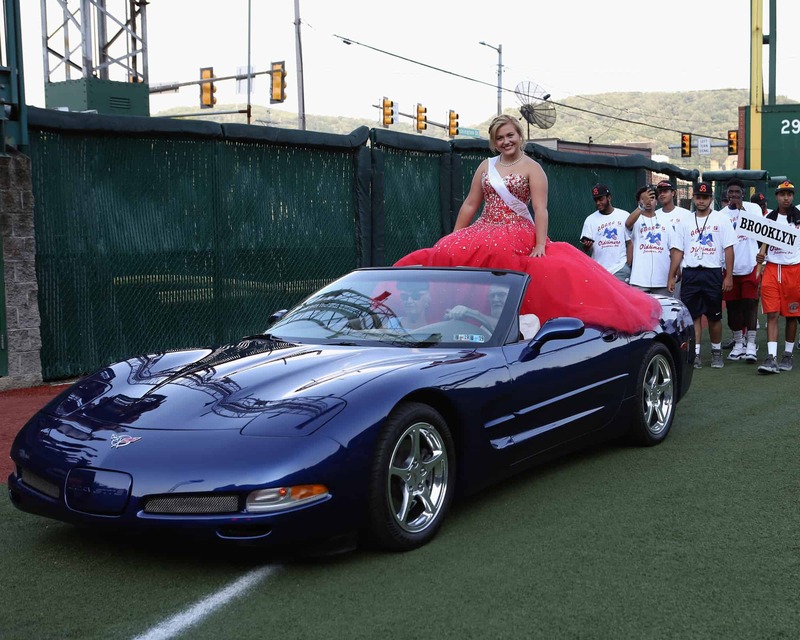 So was the Johnstown Tomahawks’ mascot Chopper. 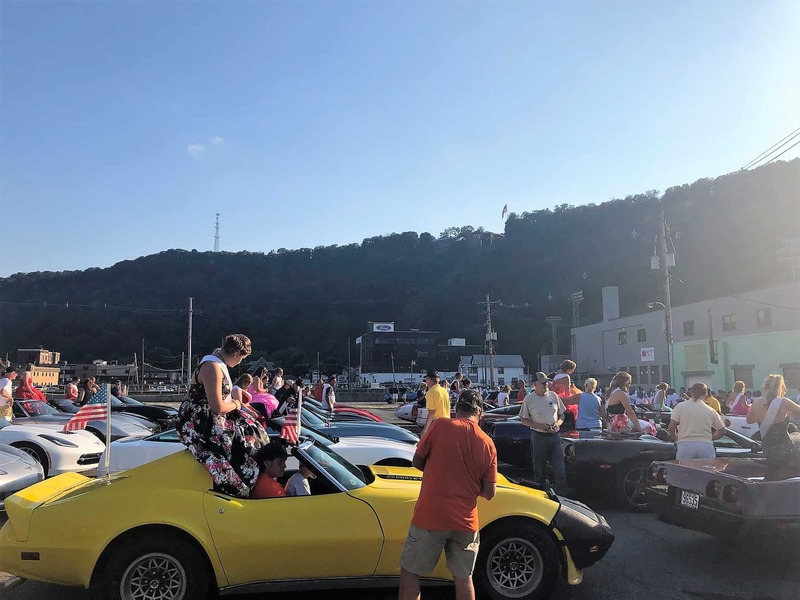 Once again, Rick Oswald played the organ throughout the game, and the Bomb Squad on the hillside overlooking the Point made its presence felt during Martella’s rallies. 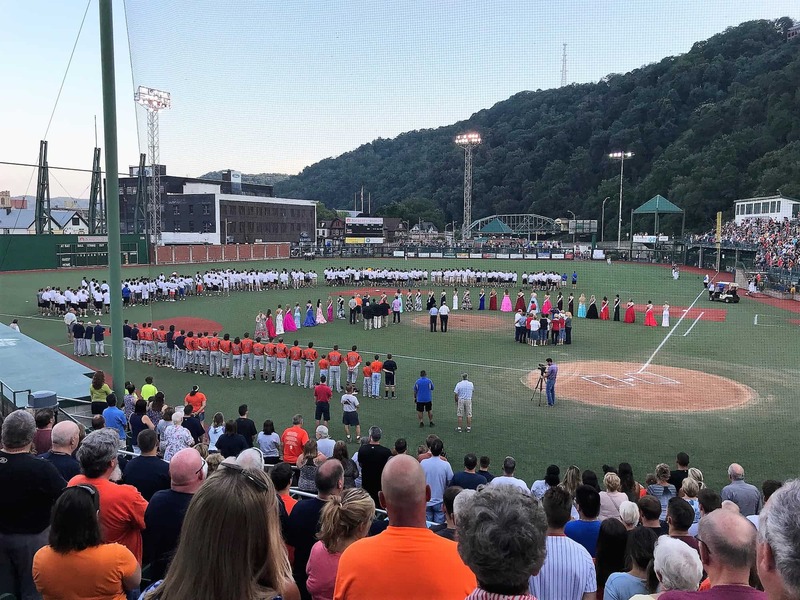 Leading up to the official opener, there were seven other AAABA Tournament games played. 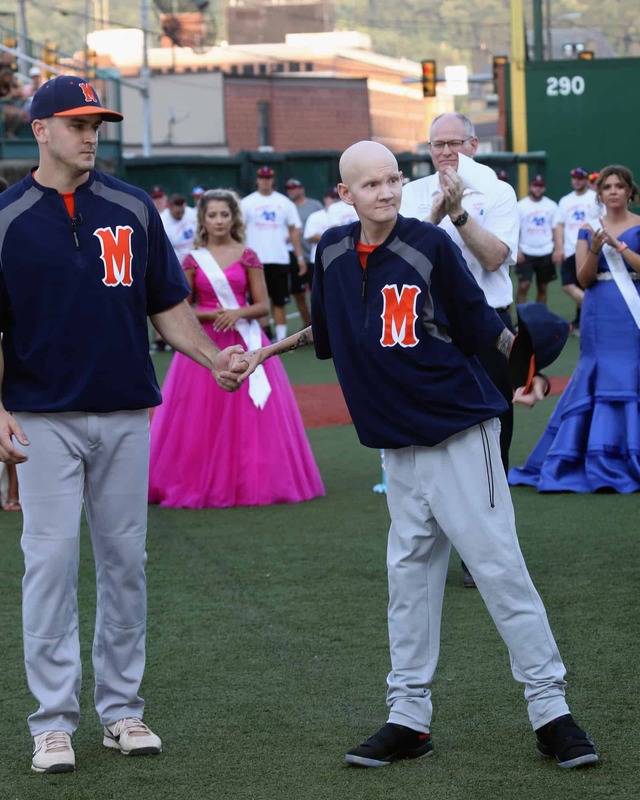 Steve Bloyed struck out nine in seven innings, allowing one run and four hits as the New Brunswick Matrix defeated Buffalo Royal Printing 6-2 at Roxbury Park. 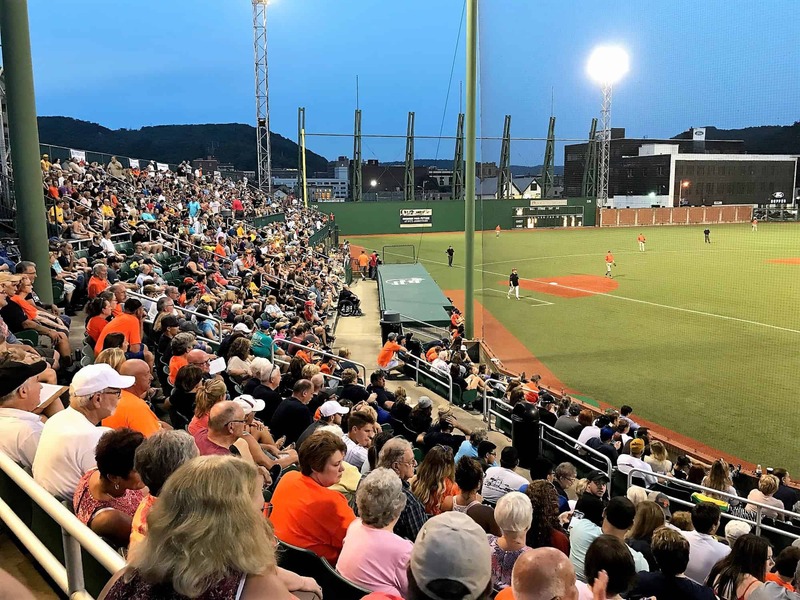 Andrew Mason and Matt Gibson each drove in two runs as the Zanesville Junior Pioneers beat Maryland State 10-4 at Portage’s Haschak Field. 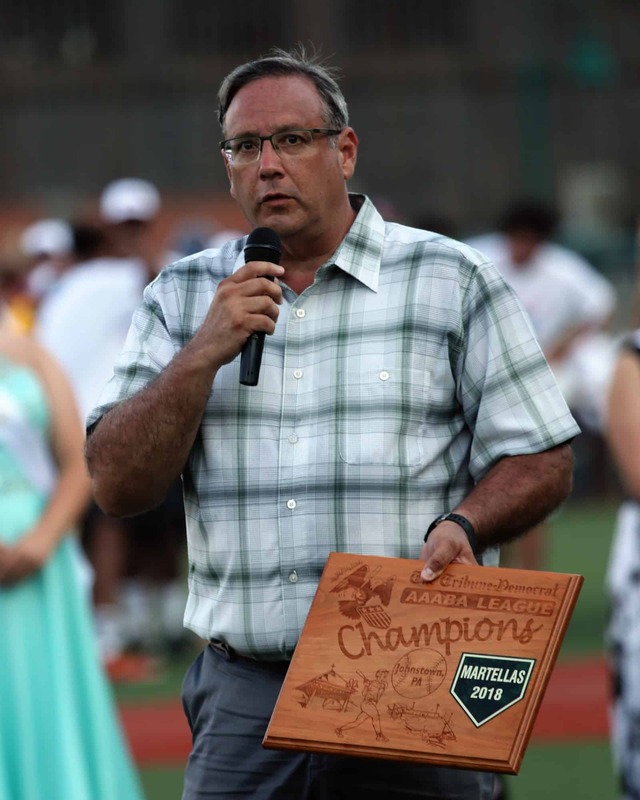 The last team added to the tournament field and third Buffalo representative, Leib’s stunned the defending champion New Orleans Boosters 12-3 at Lilly Washington War Memorial Field. 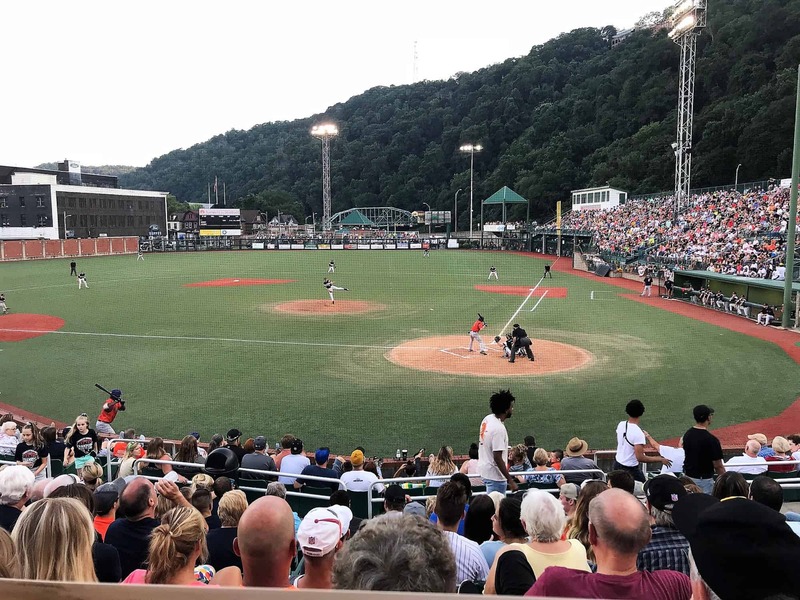 Deven Judy pitched five scoreless innings, striking out five and allowing one hit for Johnstown-2 Paul Carpenter Capital Advisors in the afternoon game at the Point, a 6-3 win over Brooklyn Youth Service League. 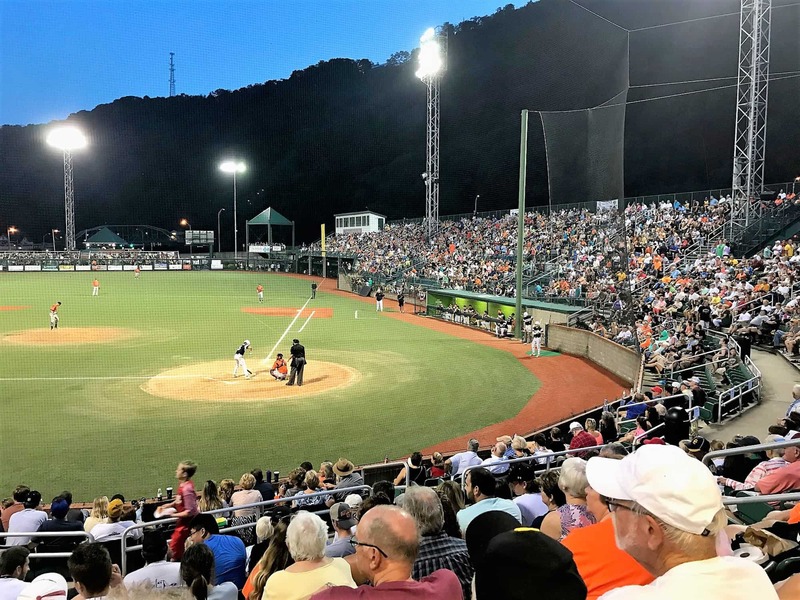 Brooklyn Bonnie Rams righty Danny Montanez extended his shutout streak to 13 2/3 innings over the past two AAABA Tournaments by throwing 6 2/3 scoreless frames with 10 strikeouts in a 2-0 win over Buffalo Full Circuit Power at Westmont Hilltop High School. 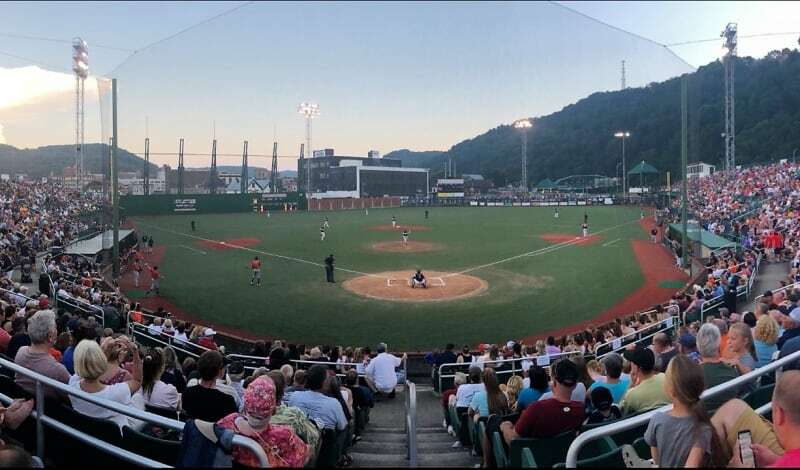 John Servello, Cody Storm and Drew Weglarz had three hits each as Altoona Johnston Realty defeated Brooklyn SAYO Grays 11-5 at Mount Aloysius College. 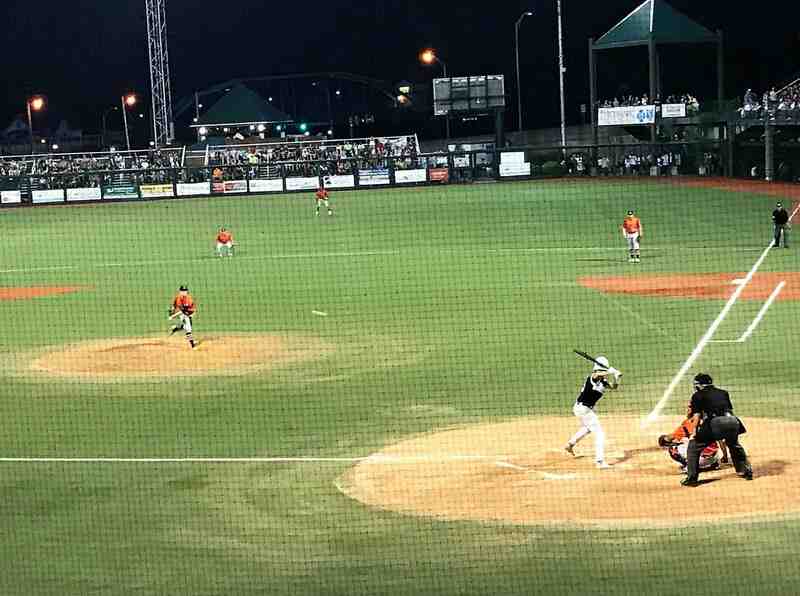 Dan Williams had four hits, scored three runs and drove in two as Youngstown Creekside Crocodiles defeated the Columbus Jets 9-7 at Fichtner Field.